Our databases have been updated! Right on time, we've updated all of our data! 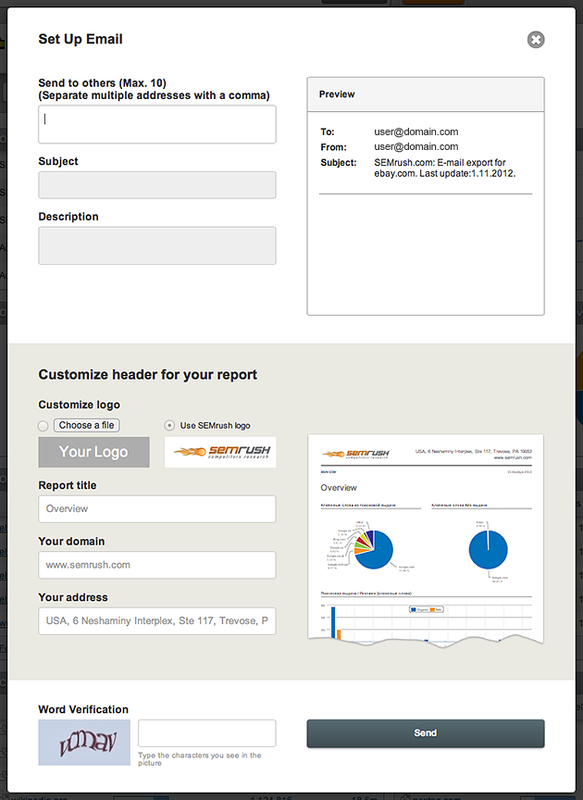 SEMrush has launched a new and exciting feature: branded PDF reports! We have added a new Competition Level column which includes a quick-glance graph in our Domain Keywords Reports “Competitors in Organic Research” and “Competitors in Advertising Research." 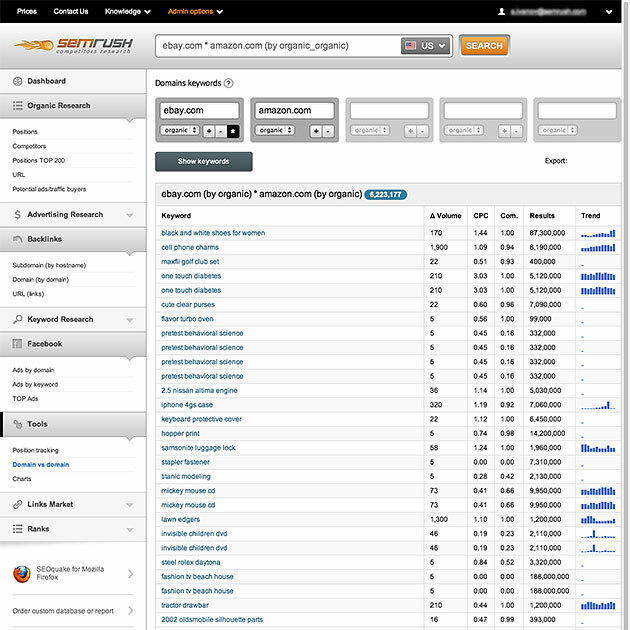 You can now sort these reports based on which sites compete the most with the site in question! 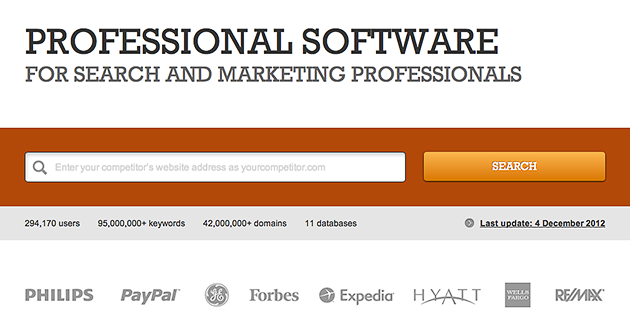 Domain vs. Domain is revamped with new features! We've received a lot of great feedback on our Domain vs. Domain tool which has turned out to be one of our most popular new additions - so we've listened to your suggestions and added some great new features to it! Domain Rank History and Domain vs. Domain are now available through the API! You can now use the API to compare domains via our Domain vs. Domain functionality! Winners and Losers is now exportable! Your favorite report, our Winners and Losers report, is now exportable! See the changes in rankings along with other metrics for the top sites in SEMrush, and now export them to a spreadsheet or CSV as well! 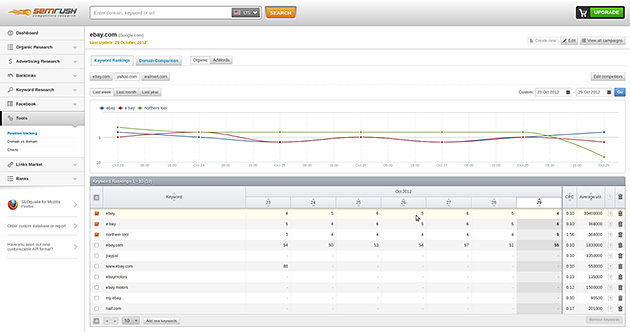 We're looking for people interested in Beta testing our new SEMrush Tracking Tool! To speed up this process please let us know what email address your SEMrush account associated with. Filtering for Domain Organic and Ads keywords added! 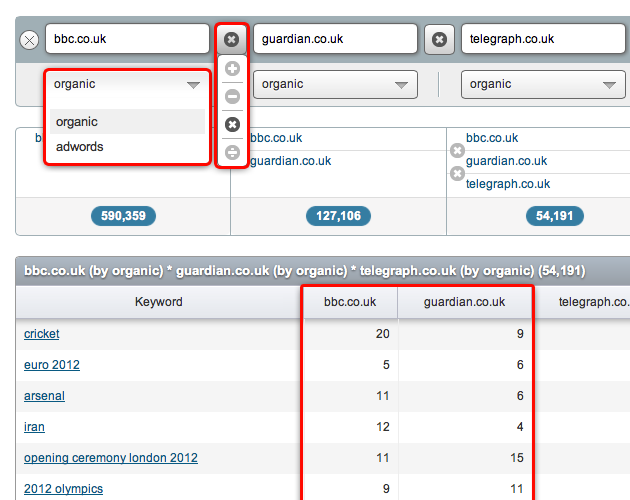 Previously, the default preview of organic and Ads keywords results were automatically shown on the report page. This is still the default preview, but now you can also directly edit it by using filters to specify the results that you want to show. 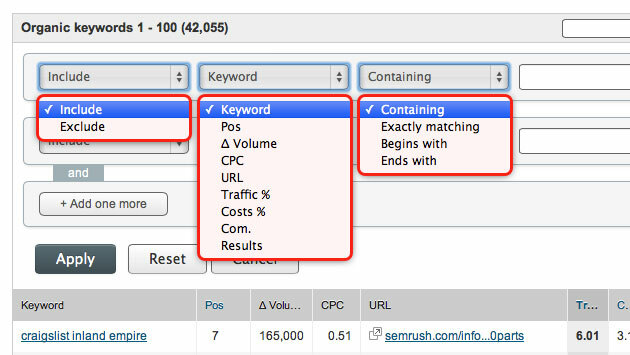 If you actively use SEMRush we would like to advise you of our API auto payment feature! 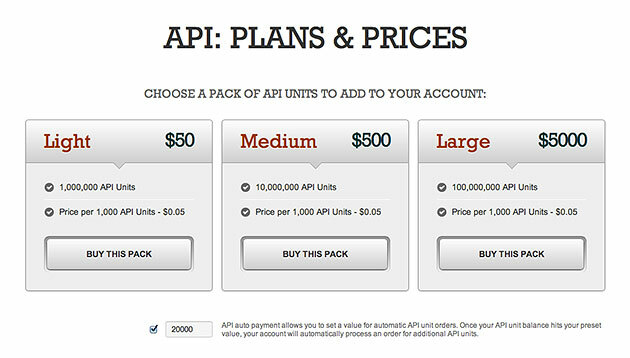 You can now set a value of API units for an automatic API units order. Once your API unit balance hits your preset value, your account will automatically process an order for additional API units. We updated VS reports for You!